We have a beautiful hillside 4bed house on 3/4 acre site rear West facing as far as the eye can see. Bright entrance hall, comfortable sitting room with traditional stone fireplace, family/playroom, kitchen/dining room, utility and downstairs wc. French doors opening onto large deck, the best seat in the house to enjoy a bbq and a pint of Guinness and 'watch the sun go down on Galway Bay'. For those with children, we have a large back garden with swings, sandbox, bikes, kids tractors etc. as well as a playroom full of toys. We also have car seats, travel cot, high chair, buggy etc. We are Mick and Deirdre, a married couple with two two kids aged 4 1/2 and 2 1/2. I am a Civil Servant and Deirdre is a Neo-natal nurse. We enjoy travelling as much as possible and have not as yet experienced a home exchange. We love our home and locality and reckon you would too! 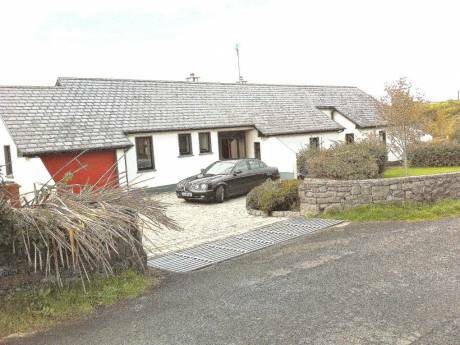 We are located 3kms from the quaint village of Craughwell which is 20kms from Galway City. 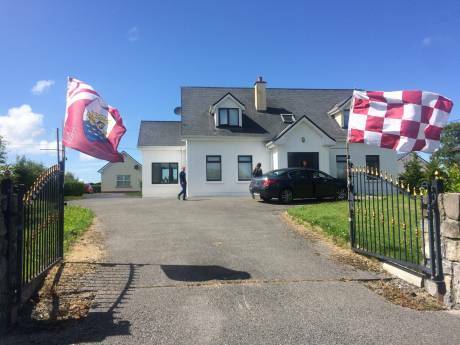 Craughwell is home of the Galway Blazers where you can enjoy the best of both worlds, living in a rural setting but yet only a short drive to the city and beyond. 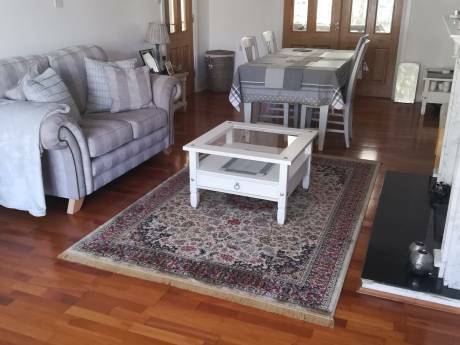 Ideally located as a touring base in close proximity to The Burren, Co. Clare (45mins), Cliffs of Moher (1hr), Coole Forest Park (WB Yeats 15mins), Connemara (90mins), Galway Bay/Atlantic Ocean (20mins), River Shannon (30mins). To the East of our home you'll find Loughrea 'the town of the grey lake' (7kms) a treat for all anglers. The lake has a beautiful, safe, supervised swimming area. You'll find everything you need in Loughrea, shops, bars, restaurants, churches etc. Just 1km from our home is the renowned St. Clerans Country Manor House Hotel with its top class restaurant. This is the former home of John/Angelica Huston and now owned by Merv Griffin.